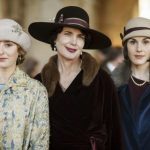 Lady Rose returning to Downton Abbey for Christmas! 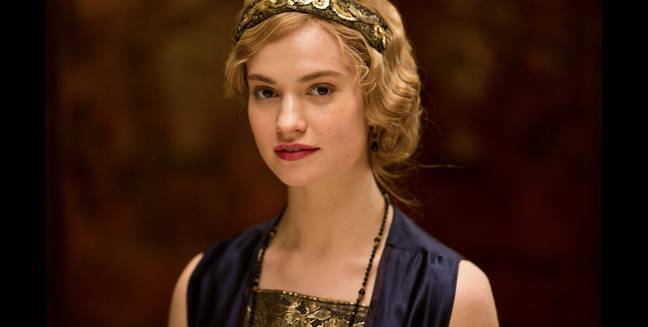 Busy times on the horizon for Lily James. While she has yet to appear in the final series of Downton Abbey, she definitely holds quite the busy work schedule these days. 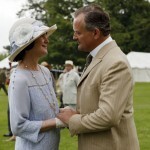 Most recently, Downton Abbey‘s Lady Rose Aldridge did confirm that she will be returning to Downton from America to help everyone upstairs and downstairs bid a final fond farewell in the final ‘Christmas’ episode which is set to air on 25 December in the UK (March 6, 2016 on PBS in America for those keeping score). 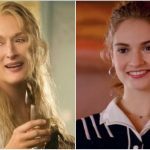 Following a very successful title role appearance alongside Cate Blanchett, Helena Bonham Carter in Kenneth Branagh’s Cinderella, James is set to star in the BBC screen adaptation of Tolstoy’s “War and Peace” as Natasha Rostova alongside Paul Dano (12 Years a Slave) as Pierre Bezukhov and James Norton (Grantchester, Happy Valley) as Prince Andrei Bolkonsky. The 21st century small screen incarnation of War and Peace will take on the herculean task of trying to convince a new generation that Tolstoy’s epic novel is not the daunting, exceedingly dry book that many used as a paperweight/door stop in college but rather a timeless drama full of the modern-day dilemmas affecting teenagers through time. War & Peace will air on BBC One later this year, and in America in 2016. Next up, James will be leaving the events surrounding the French invasion of Russia in the early 19th Century behind and returning to 1920’s England to star as Gertrude ‘Trudy’ Ederle, the first woman to swim across the 21-mile English Channel, in Young Woman and the Sea. Olympic champion Ederle made her successful swim in 1926 while she was in her 20s. She beat records held by the five men who had previously made the journey after completing her challenging swim in 14 hours and 34 minutes. Based on a book by Glenn Stout and directed by Jerry Bruckheimer, Young Woman and the Sea tells the story of Ederle, an Olympic athlete who won gold in the 1924 Games and then decided to attempt crossing the channel. She undertook the feat after first swimming 22 miles from Battery Park in New York to Sandy Hook, NJ, in a record that stood for 81 years. 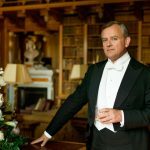 So, even though Downton Abbey is coming to a close, we going to see a lot more of James in the not-too-distant future what with the forthcoming War & Peace and Young Woman and the Sea. And, lets not forget that the long-awaited Pride And Prejudice And Zombies is headed our way also in 2016!